Integrative Counselling and Psychotherapy combines many styles and techniques from the Person Centred, Humanistic, Cognitive & Behavioral Therapy (CBT), Transactional Analysis, Existential, Solution Focused and Psychodynamic fields of psychotherapy. I draw from a number of psychotherapetic schools of thought, philosophies and methods tailored around each individual; you lead the speed and methods of working. As well as working in conventional “talking therapy”, we also have a tool box of other methods that can be helpful in explore and experience emotions, thoughts and felt senses; these include Hypnosis, EMDR, Mindfulness, Mindfulness based cognitive based therapy (MBCT). Counselling offers a safe space for you to talk privately with someone who is skilled in listening to you about whatever might be troubling you. Counsellers typically will listen to you without making judgements and will help you to explore your personal thoughts, feelings and experiences. 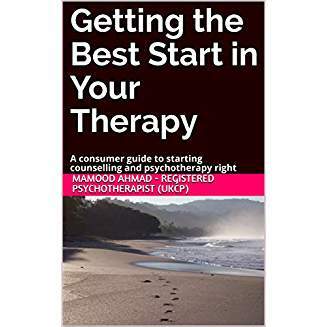 Counselling may or may not be theoretically oriented towards a particular psychotherapeutic school of therapy and is an umbrella term for many types of “talk therapy”. Solution-focused therapy is an approach to psychotherapy based on solution-building rather than problem-solving. It explores current resources and future hopes rather than present problems and past causes. It has great value as a preliminary and can be used as an adjunct to other treatments. Hypnotherapy is the clinical application of hypnosis to assist clients to resolve problems arising from habits, maladaptive behaviours, pain (under medical supervision) and psychosomatic medical conditions. It can also be used to assist clients in maximising potential in settings such as work and sport. Hypnotherapists without training in counselling or psychotherapy are not trained to deal with deep psychological issues.